In the world of clothing fashion we hear often enough that if you hang onto an item it will come back in style. That seems to be the case often enough as we have already seen a wide variety of styles that were popular in the 1970s come back to be the trendy and hip looks that younger generations are enjoying. This includes the bell bottom pants, colorful t-shirts, skinny jeans and much more, but as far as I know, there has never been a similar trend in the automotive world. It appears Buick is going to try and buck the trends and bring back something that has been working its way out of the automotive lineup for some time; the wagon. Recent news has been brought to our attention that Buick intends to offer a new Regal Wagon as early as 2018. While most of us see the trend of SUV sales on the rise, which shows that we don’t really need a wagon model, it seems the brand that has been working to reinvigorate itself is set to bring us a car that doesn’t have a place in the lineup unless they force it to have one. It seems odd that Buick has chosen now to come out with any type of wagon as they have only recently announced the third in the lineup of their SUV models that will be on sale soon in the US. This new SUV will only be on the market for a year and a half when this new Regal Wagon becomes available and is a model we look to for touring around the country. The question must be to wonder what Buick is trying to accomplish by offering us a wagon at a time when wagons are virtually nonexistent on the market anymore. Is there a call for a wagon in China? That could be a reason for the car, but it’s not where this vehicle is planned for sale which gives us a result that is a negative for the Regal Wagon heading to the Chinese market. Likely the new Regal Wagon will be a rebadged Opel Insignia Sports Tourer giving us the thought that this car will have a great deal of European influence to make it a car that we might want to buy. 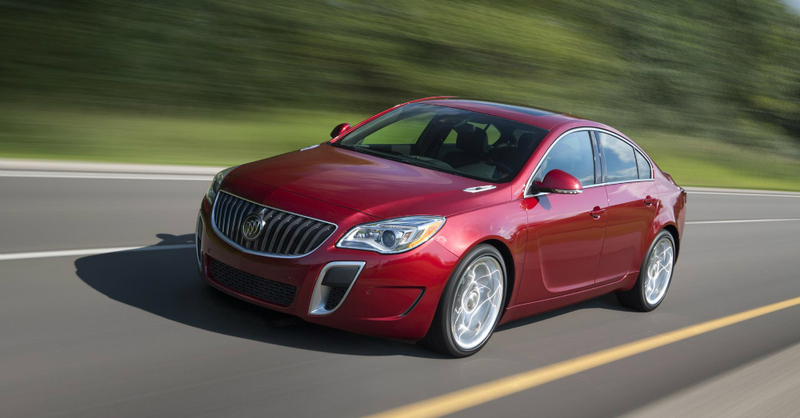 Even though there is no evidence this car will be part of the offering in China, where Buick is one of the most popular brands around, it’s likely it will eventually be sold there as well as here in North America. Another interesting development in the world of the oddball wagon is the fact that we could expect it to wear the Buick Regal TourX badge. This would mean it will be an AWD model and be a car that might compete with the likes of the Subaru Outback or other small SUVs that are made to head off road on lighter trails. Along with the new Regal Wagon GM announced they will have a new Enclave and Regal GS as well. Is this a trend in the automotive world to now follow the fashion world? Probably not and I don’t think pulling out my parachute pants from the 1980s will be a good idea (they probably wouldn’t fit anyway), but we may be viewing the next move in the automotive world to create the wagons we want which could bridge the gap from sedans to the small crossovers. We don’t have any word yet as to how this Buick Regal Wagon is expected to sell and what numbers we might enjoy, but the fact that Buick is trying to sell us a wagon along with some of the other new and interesting vehicles from their lineup certainly tells us they are looking for an edge anyway they can find it.